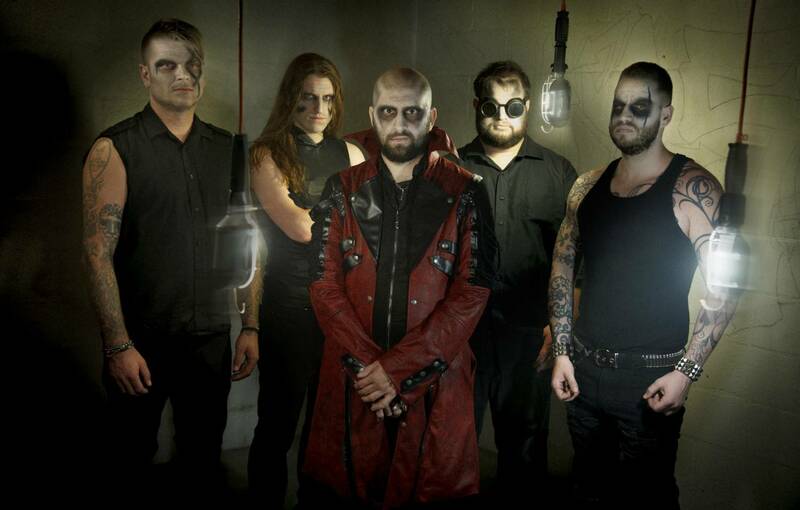 Set to release their new EP ‘Ritualis Aeterna’ on December 2nd, Canadian horror inspired symphonic power metallers MALACODA have unleashed their new music video for their first single ‘Penny Dreadful’ that was directed, produced and edited by The Laundry Design Works. The track/music video Penny Dreadful was inspired by the since canceled Showtime TV show by the same name. Gothic horror literary classics (Dracula, Dorian Grey, Frankenstein, etc.) all cross paths within the same gloomy Victorian London and struggle with their cursed existence. The song explores the themes of the show, each section of the song being a different character’s personal struggles. Just as the show paid homage to horror’s roots, the band’s music video pays respects to classic horror films, using only practical effects to achieve everything from the dark corruption of the blood in the veins of the possessed woman, to the sped up and jerky motions the band members display as the song crescendos. MALACODA whom’s name is influenced from a demon from Dante’s ‘Divine Comedy’, will be offering their new six track EP ‘Ritualis Aeterna’ to follow up to their well-received 2014 self-titled debut. Packed with dark atmosphere, originality and innovation, this is gothic power metal for the 21st century with intelligence and intensity to rival that of their infernal inspirations! For more info, please visit: www.MalacodaMetal.com.